A die cavity machined to the exact size and shape of the tube with only sufficient allowance for a slip fit with the tube. 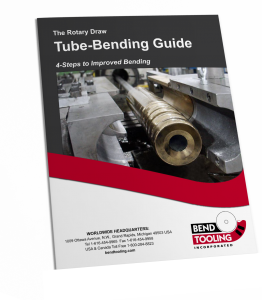 This allowance may be as little as only a couple thousandths of an inch on the diameter; therefore, tubing that significantly varies in its outside diameter will require the ideal true cavity specification to be compromised with additional allowance in order to ensure at least a slip fit. Compare nominal cavity.